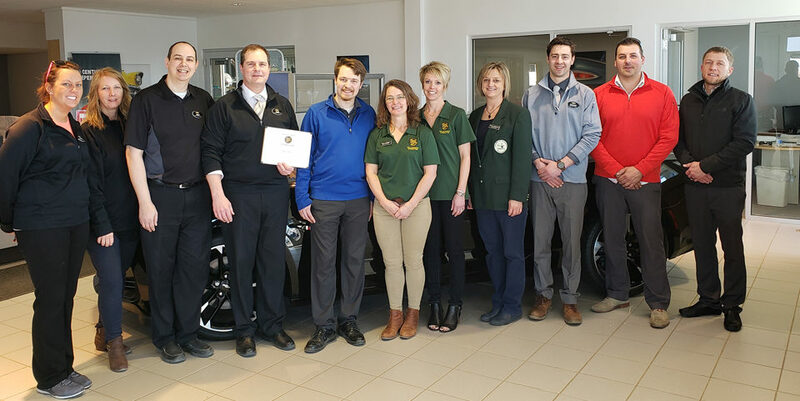 The Willkommen Committee met with Kathy Virnig to welcome Volunteers of America Adult Day Services as new members of the New Ulm Area Chamber of Commerce. Kathy greeted the group at Oak Hills Living Center, which is where Adult Day Services rents space in New Ulm. They also rent space at the Senior Living Campus in Sleepy Eye. The Adult Day Services program offers social, recreational, and supportive services to people, mostly seniors, who live at home with a caregiver. This assistance allows many people to continue to live in their homes and relieves stress for their caregivers. Each programs is licensed for 24 individuals, and the program is free for veterans. Kathy said that the program, which is nation-wide, is expected to grow in the coming years with the aging population of the baby boomers and the shortage of assisted and nursing home facilities. To learn more about Volunteers of America Adult Day Services, visit www.voa.org, or call Kathy at 507-359-3377. 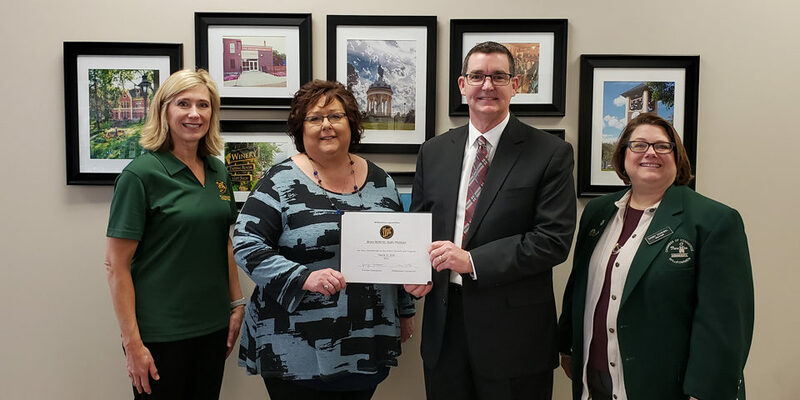 In the photo are: Andrea Boettger, Design Home Center; Dinah Spurgin, Thrivent Financial; Kathy Virnig, Volunteers of America Adult Day Services; and Lynn Fink, Citizens Bank.